Is there any way to completely reset any changes made from the Design tab? 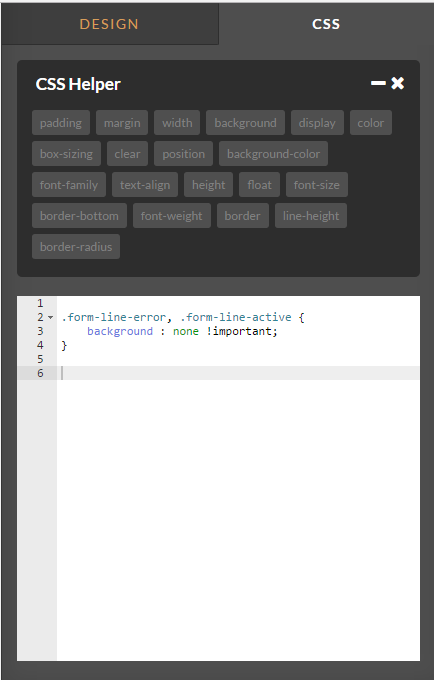 I've encountered a lot of issues when working with the custom CSS in the theme editor. In general, it seems that this may be due to conflicts between the CSS code and settings in the "Design" tab. Basically, everything in custom CSS is reflected in the editor view, but as soon as I save and preview the form, none of the changes are applied. I've been able to fix this a couple of times by setting properties to "!important", but overall it's been hit or miss. Also, is it normal for me to need to reapply a theme to all of my forms every time I make a change, because otherwise I don't see the updates reflected. 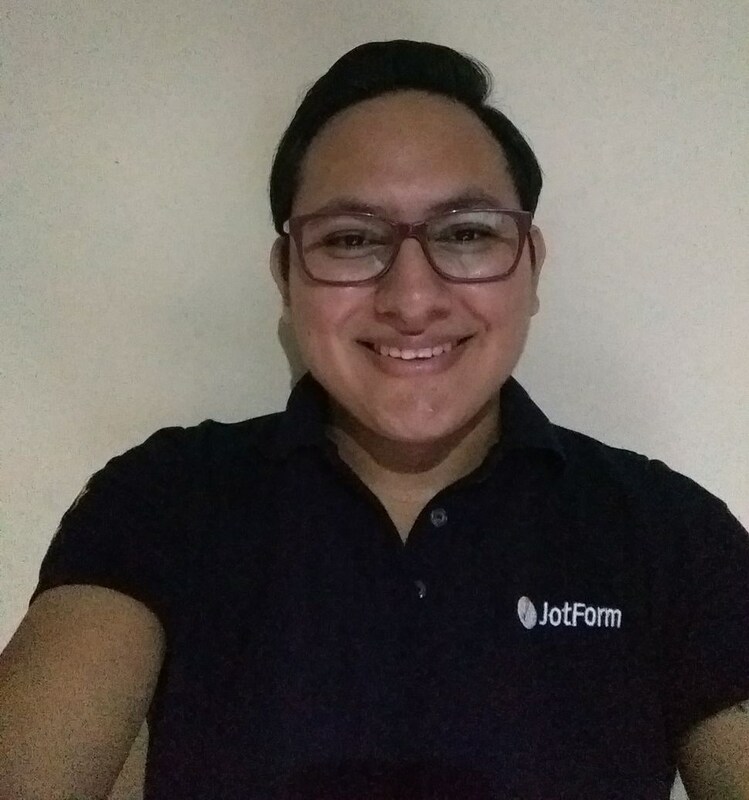 Is there a way to "connect" several forms to the theme, so that any updates are automatically applied to all related forms? 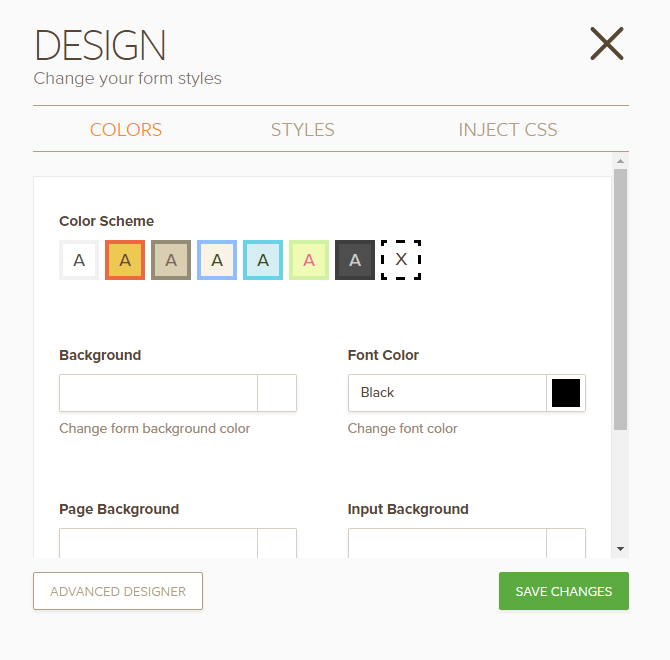 If you need to reset/redo the form design style changes, there are couple of methods to do it. #1 If you know the CSS codes you have added that affected the latest style changes, you can remove them in the CSS Editor. 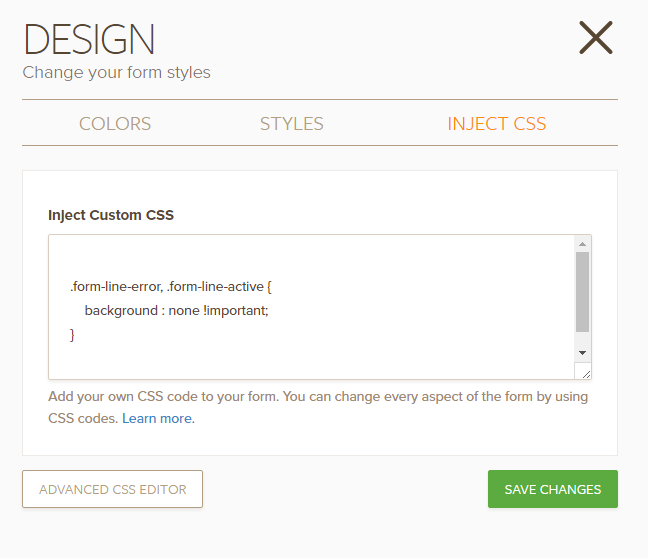 This will then remove the style applied by those CSS codes. #2 Use the Revidision History tool to revert the form design to a previous specific saved point. Let us know if the 2 options I suggested did not work for what you wanted to do. The 2 other questions were about a different feature of the form. So I created a separate discussion thread for them here. We will attend to them as soon as we can. Thanks for the prompt response (and sorry for lumping together all of those different questions). I have a theme which I have created through using both the Design tab AND the custom CSS tab. I have several forms in which I had made some slight changes through the Design tab, but they have no custom CSS. When I apply the theme to the form, it looks perfect in the Design preview (all custom theme CSS is applied as expected). However, if I save this form and exit the editor, or preview in another tab, some of the changes aren't actually applied. For example, earlier in the form's history I set the buttons to not have a border-radius. But in my theme I set a border-radius through custom CSS. Again, when I apply the theme, it looks right in the preview, but isn't actually applied when I save. The revision history is nice, but I can't use that because I don't want to remove all of my image changes, form changes, etc... Just any changes that may have been applied through the design tab, so that I KNOW the only thing being applied is the custom CSS from my theme. Maybe it would be nice to simply have custom CSS default to taking precedence over changes made in the design tab? Or maybe the problem is deeper than that. 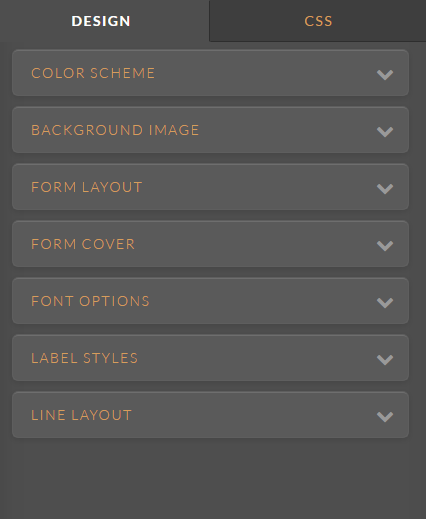 As I understand, you used a template and then updated form through the form settings these changes are applied either on the settings section in the form or in the design tab in the Designer tool. So far if you want to remove all the changes applied to the form with CSS code via the injected CSS code section or the CSS tab in the Advanced Designer you can simply remove it and those changes should be removed, but if those changes were applied through the preferences (or Designer tab in the Advanced Designer tool) then you will need to manually revert those changes as there is not a "button to reset changes to default". If you want we could escalate this thread to our second level as a feature request, please do note that we cannot provide an ETA about when this could be implemented, but we will make sure to let you know if there are updates regarding this. Please let us know, we will be glad to proceed.